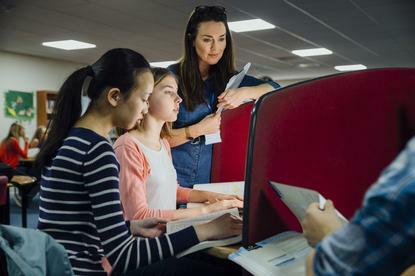 Citing research that it says shows tech firms with a balance of men and women make more money, the New Zealand Technology Industry Association (NZTEch) is seeking to persuade more schoolgirls to take up careers in IT. According to its web site, the programme connects young women at school with women working in the tech sector, who act as a mentors. Secondary school students get to spend a day with the woman in tech, experiencing a day in the life of an IT professional. Students also have the option to partner with a tertiary student, who can provide mentoring and advice on study options. The programme was first run in 2014 under the name Shadow IT and changed to ShadowTech in 2016. The days will be held in Auckland, Hamilton, Tauranga, Rotorua, Palmerston North, Wellington, Christchurch and Dunedin and will “bring together tech firms and other tertiary institutes throughout New Zealand, to connect hundreds of schoolgirls with the possibilities of tech,” NZTech says. According to NZTech, only three percent of 15-year-old New Zealand schoolgirls consider a career in IT and women account for only 23 percent those in IT occupations, despite the tech sector having the highest paid and highest qualified employees of any industry. NZTech government relations director Andrea Hancox said that, with more than 28,000 companies employing around 100,000 people the tech sector had a growing number of opportunities from traditional software development roles to creatives, designers, business analysts, managers and engineers. She added: “Tech roles are not just limited to the tech sector. With more and more industries deploying technologies Shadow Tech Day is helping to expose future career opportunities for young girls in technology within airlines, banks, schools and almost all sectors.